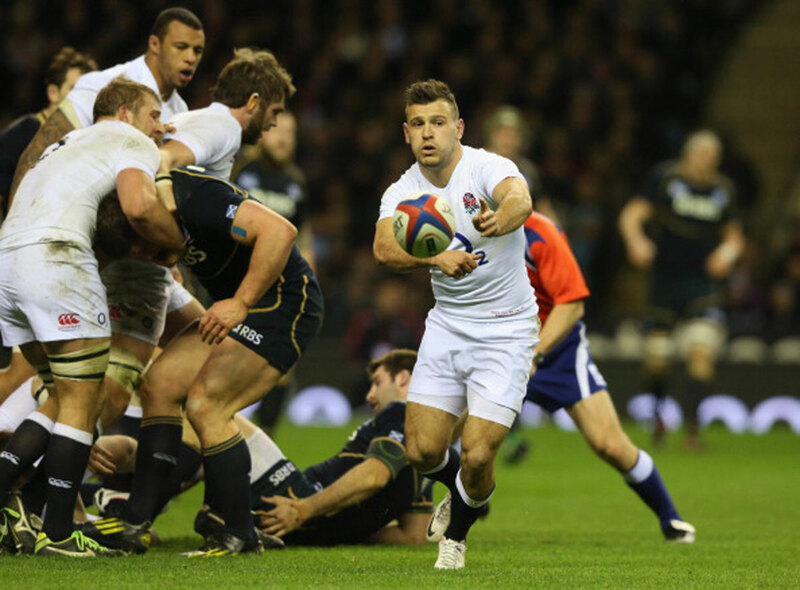 This weekend was the perfect way to kick off the Six Nations! It had a bit of everything. A bit of a shock, a bit of class, a few nerves and some tightness like the Six Nations always is! The Wales v Ireland game was fantastic. Wales came back into it in the second half, but Wales are really struggling. I think they are struggling because of injuries and because of confidence. They really need some of their senior players to start performing. The Irish came and absolutely blitzed them in the first half and then it was always catch up from there. England were fantastic. I think you mustn’t ever underestimate this Scotland side. On another day this Scottish side would have caused all sorts of damage to another side, but England right from the first kick off were on form and didn’t look back. They blew away a competent Scotland side and really made them look very average so it was a great performance. There’s a long way to go but England fans can be quietly confident that this side might be something in the making. I think England always looked like outscoring Scotland. I think if Scotland would have scored one try, England would have scored two, and if Scotland scored two then England three. I think England were always in command and were always going to win the game. I also think it makes the Scotland v Wales and Scotland v Italy games very interesting because there not much between them at the moment. I know it’s not Lions related, but Italy had a fantastic result against France on Sunday and that really did set the scene for a fantastic Six Nations. I must say though that I have never seen such a poor French team. I don’t mean in terms of selection because they have got some fantastic players, but I have never seen a French team without shape, ambition or any urgency. Even when they were one try down with seven minutes to go they just ambled up to the line as if they didn’t really care or worry about the clock ticking away. It was a very bizarre performance from the French but all credit to the Italians. From a Lions perspective, your stand out performers have to include Brian O’Driscoll from Ireland and Billy Twelvetrees for England, which will make next weekends game in Dublin very interesting. Twelvetrees did remarkably well. I think it gives England an interesting selection problem. Do they bring Manu Tuilagi back or stick with Twelvetrees? As I said above I think O’Driscoll was something most Lions supporters whether Welsh, England or Scottish would say thank god he’s back on form because it will be his last Lions tour and they will be looking for him to dominate in the centre. I think as long as he keeps himself injury free I think he’s booked himself a place on the tour this summer. As far as those who didn’t do themselves any favours, I don’t really think anyone individually played particularly badly, well the French did but that doesn’t really affect the Lions. I think all 15 of the French shirts let themselves down but as far as the home unions goes I don’t think so. Fortunately there’s more people playing really well than there are people having nightmares. I think the Lions selectors eyes will all be on the game next weekend in Ireland, in particular the battle of Sexton versus Farrell. Farrell every game is really maturing, he’s kicking his goals, he’s taking his points, he’s turning into another Jonny Wilkinson and that will really please the selectors. But again Sexton looked fantastic on Saturday, so that little fly half battle will decide who’s the forerunner for the fly half position as well. There’s a long way to go yet, and a lot of water to go under the bridge, but really, collectively, England and Ireland looked good and O’Driscoll was the stand out performer for me. I think this just sets it up brilliantly for this weekend for the two in form sides Ireland against England in Dublin.